BRIGHTON, Mich - Now that the 2015 Ford Mustang is starting to hit showrooms, there is no better time for Ford and Tweddle to launch an interactive Mustang Owner application. Available for both iOS and Android owners, this application provides Mustang owners and enthusiasts with tons of information about the pony car's features, capabilities and function of components. The interactive Mustang Owner application launched by Ford Motor Company and Tweddle offers just about everything that a Mustang owner could possibly want. Ford has always been determined to provide customers with technology that will improve driver's behind-the-wheel experience. "Mustang Owner" is no exception, allowing users to scan various interior and exterior shots of the all-new Ford Mustang to learn more about the function of the components and other details. 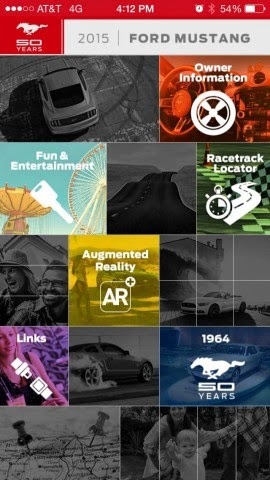 The Mustang Owner app has plenty of searchable content that is easy for drivers to access. The application also contains a few other fun components like Mustang trivia, wallpapers, ringtones, as well as links to accessories, apparel and social media websites. 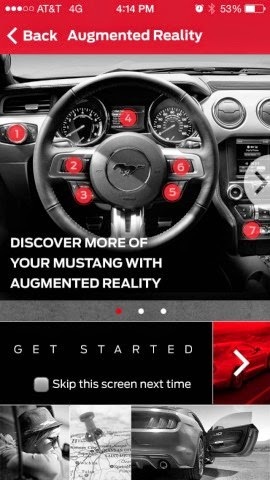 Download the application for yourself at the Apple App Store or Google Play Store by searching "2015 Ford Mustang app".